Self-education begins with your mindset, your future success lies within the confines of your mind. 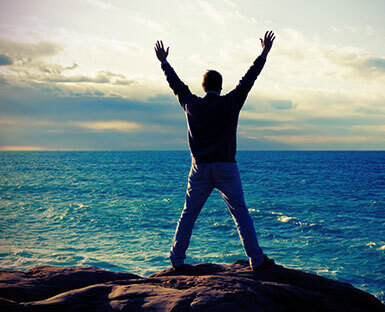 The actions that you decisively take; the attitude you have towards challenges, and how you view life and all its possibilities are contributing factors to your overall fulfilment. Unlearning habitual routines and learning how to better structure your thinking takes time, effort and knowledge – it’s something that MesitiHQ will help you with. Our internationally recognised educators are leaders in their field, and will help you in understanding and fully utilizing your brain. Whether you think your brain is with or against you, our educators will help you to expose the spheres of your brain that you need to succeed so you can successfully utilise them. Through simply engaging your brain in the correct way and learning how to structure your thinking rituals, you can harness the full power of your mindset. Learning strategies to build a business that not only survives in hard markets, but are also thriving and creating larger market shares in an economy where their competition fails, takes full understanding of current markets and forecasting. Understanding the critical fundamentals of building and maintaining a business are essential. The main building blocks needed to succeed are simple; you can lead the market regardless of your industry with clear direction, a succinct business plan and tools to get you to the end destination. Market analysts, media commentators, money experts and visionary entrepreneurs are the types of minds you will gain access to at all of our business events. They will explain the fundamental ideas that surround the business world and how to gain a clear vision. 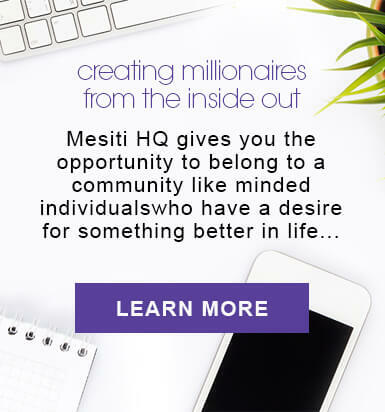 MesitiHQ will help you educate yourself, and clarify the ever-evolving ideas surrounding businesses, leading you to successfully run your business to the highest standard or begin an exciting new start up. In today’s volatile market, with increasing competition and readily available information on how to ‘gain wealth,’ it is easy to get lost in knowledge. MesitiHQ stands apart, and will help you stand apart too through giving you access to some of the greatest minds of the 21st century. The simplest and most effective way to move forward in life and constantly progress in wealth is to emulate those that have been successful before you. Our relationship with some of the world’s most insightful entrepreneurs will ensure you tap into the potential of yourself, your team members, and fully understand how to strategically organize yourself, so that ‘wealth’ can become a term that not only stands in for ‘money’ but for the wealth that you will find in a life you create. round and being connected is an essential aspect of any business. you a living; self-education will make you a fortune." My wife and I recently attended Matt and Amanda's conference on the Gold Coast. With Matt and Amanda and yourself as our mentors I have undergone some tremendous changes in my life. Thank you. Pat, the veil of the temple has been ripped asunder; the scales have fallen from my eyes and I have been born again. I have had the wonderful experience of the light coming down and the truth flowing from the Super consciousness (The Lord, God) into what we label our conscious mind. Pat, I get it and I am helping others to get it. Your ministry of FAITH has truly been brought into the 21st Century. Pat, I see how you teach others to believe and release the power of faith in their lives. Pat, I truly know that you are an Angel (messenger from God or messenger for God) spreading the teachings of Christ through your ministry of FAITH. Hallelujah my brother, my teacher, my mentor and praise be to GOD ALMIGHTY. Just want to let you know something in regard to the personal issue that I spoke about on Saturday, I’ve done hours and hours of therapy about that issue. I can honestly say I received more meaningful and heartfelt support from the people who were at your event this weekend, than from the hundreds of hours of therapy. It really blew me away. I will be eternally grateful to you for that experience. I truly understand how my issue has held me back for so long and also how it has helped me be a stronger person. And I also understand how my sharing helped so many other people in that room. So many other people thanked me for helping them and I will stay in touch with many of them. The calibre of human beings that were at that event was outstanding. And that’s thanks to you, Pat. You have an incredible gift for gathering outstanding human beings around you. I’m looking forward to attending one of your programs again very soon. Wow!!! Thank you so much for a “Sensational” 3 day conference and thank you for re-igniting my dreams. Talk about “Living The Dream” the event was so awe-inspiring!!! A slightly belated thank you for a wonderful week at the La Dolce Vita event. My husband said it was the best conference that he had ever attended – high praise indeed. Thanks for all the hard work that you put in to make it so successful. Wow wow wow, you are so alive energizing & electrifying inspiring. I need to say a Huge Thank You for giving me one of you “Living The Dream” packs. Thank you for the experience that is “La Dolce Vita” and for all the doors it has (and is) opening in our lives. Thank you for your attention to every detail that makes this experience what it is. Takapuna Auckland last Saturday. It was a most enjoyable day as well as enlightening and motivating. in a great way. I just wanted to thank you for one of the best books I’ve ever read. So thank you for helping me change my life in this later stage of it, it has just begun. were magnificent.. I need mentoring., but hey, one step at a time. I will return as often as I can. Your events are super, simply the BEST Like you The BEST. Thank you from the bottom of my heart. You will be so inspired and in awe of the amazing energy Pat gives out from stage..
walk away feeling 10 foot tall and ready to conquer the world..
absolutely full of gold..! I have witnessed his magic a couple of times now and would listen to him again and again..!! !